Greater Sandhill Cranes lift off at sunrise en-route to feeding grounds. Blanca Peak and Little Bear Peak provide a gorgeous backdrop from an area near Monte Vista National Wildlife Refuge. 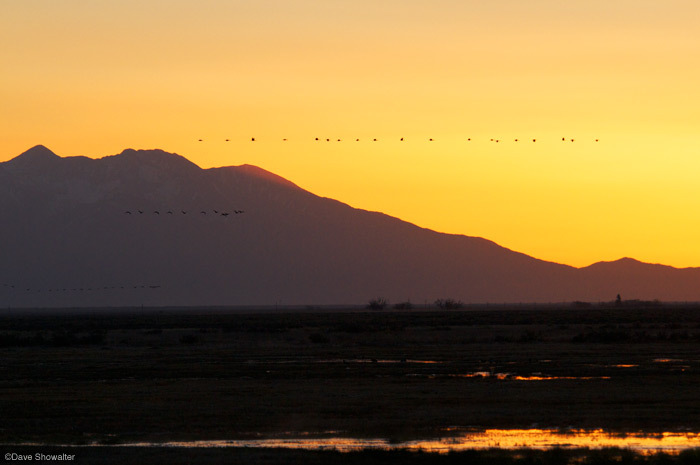 Roughly 27,000 of the 80,000 Greater sandhill cranes pass through the San Luis Valley on their spring migration. Photo © copyright by Dave Showalter.